The Negroni cocktail is made of 1 part gin, 1 part sweet vermouth, and 1 part bitters, traditionally Campari. It is considered an apéritif, a pre-dinner cocktail intended to stimulate the appetite. According to the most popular origin story, the Negroni was invented in Florence, Italy in the early 1920s. It was named after Count Camillo Negroni, the man who invented it by asking the bartender to strengthen his favorite cocktail, the Americano (a cocktail composed of Campari, sweet vermouth, and club soda), by adding gin rather than the normal soda water. The bartender also added an orange garnish rather than the typical lemon garnish of the Americano to signify that it was a different drink. However, the word Negroni doesn't appear in English cocktail guides before 1947, so the drink's true origins are uncertain. 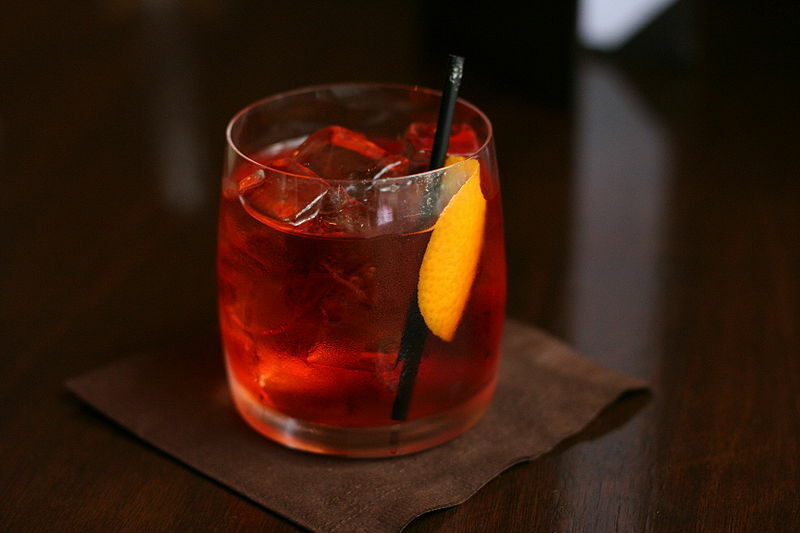 For a hot summer day, the Negroni can be stretched into a thirst quencher with soda. A Sparkling Negroni is a Negroni served straight up in a martini glass with champagne or prosecco (an Italian dry sparkling wine) added. This is usually served with an orange twist.